We offer residential and commercial Internet service now in Tamarindo, Langosta, Brasilito, Flamingo, and Potrero. We will be increasing our coverage area in Guanacaste Costa Rica from this point on. Please check our coverage map below to see if you qualify for the best Internet experience you will ever find in Costa Rica. For many years people in northern Guanacaste have been requesting that we start providing reliable Internet service both in the town areas and in the remote mountain areas as well. We now offer standard residential internet plans ranging from 1Mbps to 6Mbps, and commercial grade service up to 15Mbps and more. The design of our network is very secure, easy to maintain, and extremely fast. Current testing has shown network speeds at clients home to run well over 50Mbps. Honestly residential clients don't need Internet speeds of this magnitude in those areas but this insures that there are no bottle necks in our system. The connection quality you will receive will be for more stable, faster, and much more reliable than ADSL, DSL, and Cable Interent. 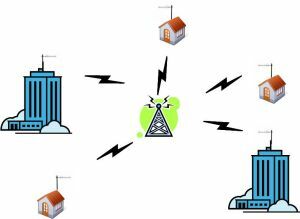 Distribution of Internet using a wireless network is not impacted by weather, and you don't have to rely on all the telephone poles and copper wires running all over the place. We connect straight into fiber and transmit it directly to your home or business. This means there is far less issues with latency, variable speeds, and downtime. 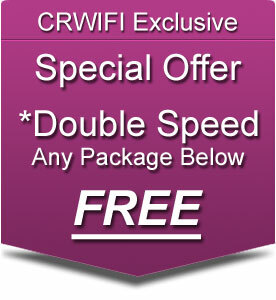 CRWIFI guarantees the quality of your high speed Internet with a *100% Money back guarantee. 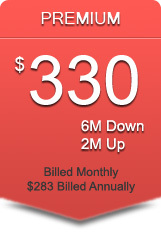 How much does the install cost?A standard residential install is $200. This includes the installation of up to 20 meters of network cable, the connectors, power supply, and the antenna. If the installation requires additional work, cable, tall pole, parts, or detailed cable routing, the price will increase. This will be discussed before the installation so there are no surprises. All installed equipment remains the property of CRWIFI Ltda. Internet Hot Spots in Costa Rica are very common in hotels, condominiums, apartments, restaurants, resorts, and other businesses. We can design a small system for your location covering one area or a large system that can provide wireless service up to thousands of square meters. If you have a single office at home, or a complex with fifty condominiums and need reliable wireless or hardwired networking, let us know. We will work with you to determine the best solution to your needs and do so within your budget. 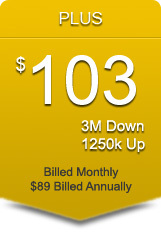 Our prices are very affordable and we offer many solutions that our competition can't provide. 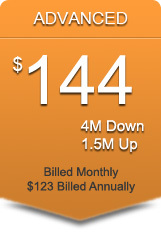 We will also service, upgrade, and or maintain existing systems. 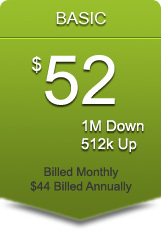 Our estimates are free, and as always we offer a *money back guarantee. Can I get service in your coverage area?First you need to look at the map at the bottom of this page and see if your location is in one of the shaded areas. 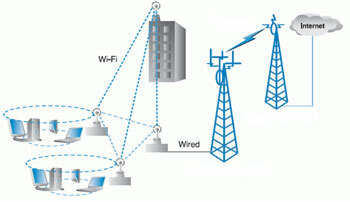 CRWIFI requires that our antenna at your location has a perfect view of a transmitter. Sometimes these transmitters can be up to 40 kilometers or more away. If your location has a good view of the surrounding area and it's not down in a deep ravine or canyon, you probably can get our service. We do not charge for a site survey if you call and order service with us. We have transmitters in the Potrero area and Tamarindo. We are always expanding as well. Speed with 3G, DSL, and cable varies a lot.CRWIFI does not have variable speed issues. Our design and management of our core routers allows us to always have more internet available than what our clients need. 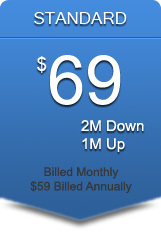 Unlike much of our competition, we do not over sell our core networks ability. Your speeds will be the same at 8PM as they will be at 4AM in the morning. Do you offer vacation status? Yes, you can speak to anyone on our staff and they can give you all the details. There are some restrictions that apply. Will I have voice quality issues? CRWIFI Ltda. has been providing excellent quality Internet here in Costa Rica for over four years. Our clients praise the voice quality they find all the time while using Skype, Vonage, Google Talk, MagicJack, and many other VoIP related services. 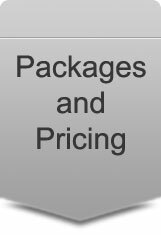 * DISCLAIMER >>> You will experience upload and download rates up to twice the speed of your purchased package above. These "Double Speed" rates may or may not be sustained on large files or streaming. There are some limitations in regards to specific network areas and some packages. Please call or email us for details.